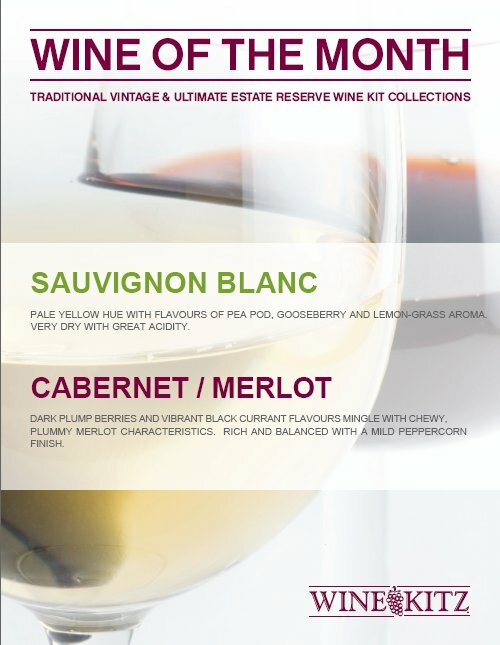 Until June 30th, 2011, enjoy 10% off our Traditional and Ultimate Sauvignon Blanc (white) and Cabernet Merlot (red) wine kits. The Californian Sauvignon Blanc featutres a very pale grassy yellow tone with bright pea pod and characteristic lemon-grass aroma. It is full-bodied. and very dry, but can be made sweeter according to your preference. The Chilean Cabernet Merlot features flavours of dark plump berries and vibrant black currant mingled with chewy, plumy Merlot characteristics. It is rich and balanced with a mild peppercorn finish.